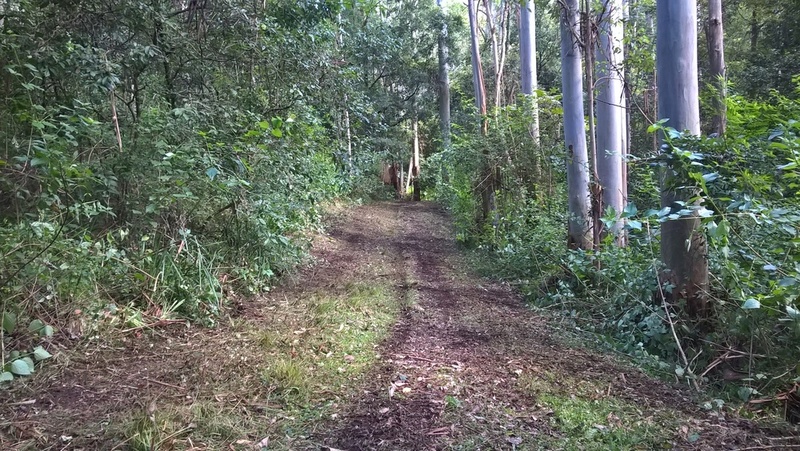 This is an example of an access track. 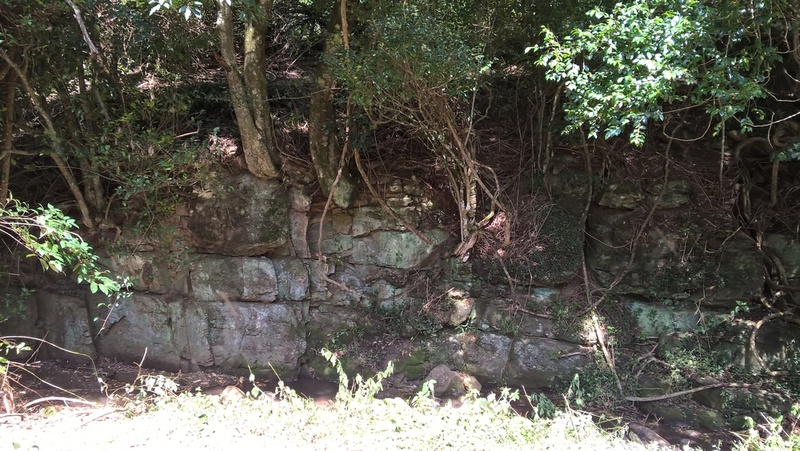 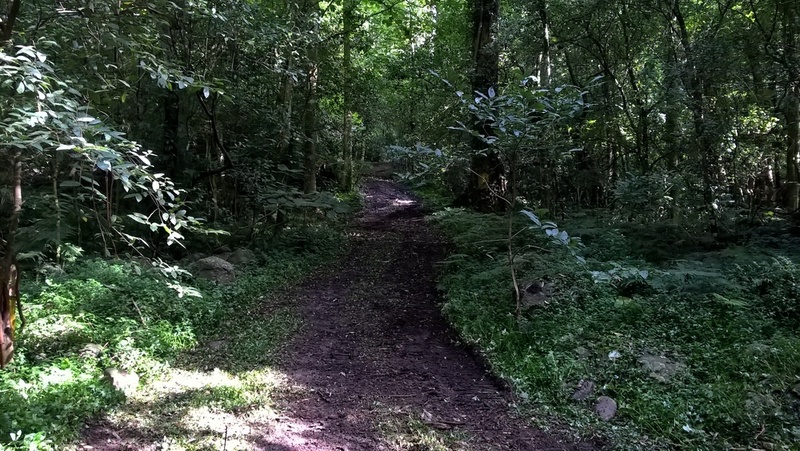 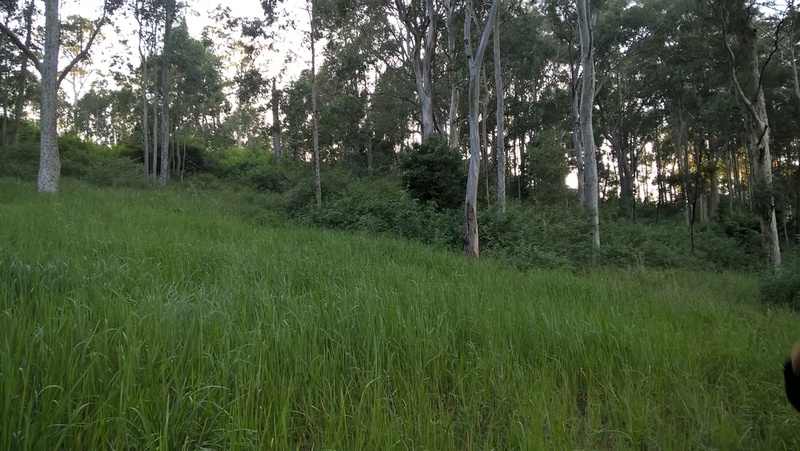 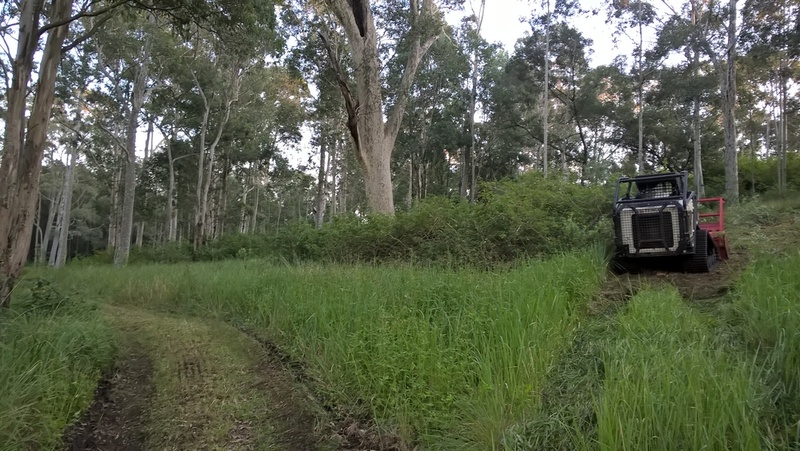 We can also create bush walking tracks on your property. 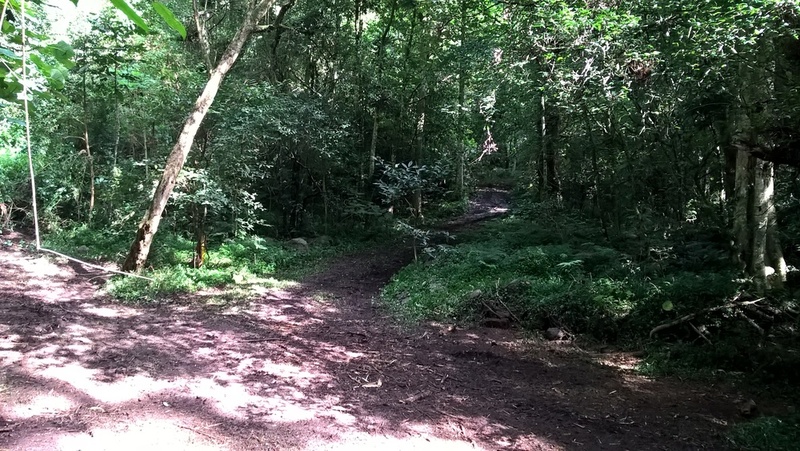 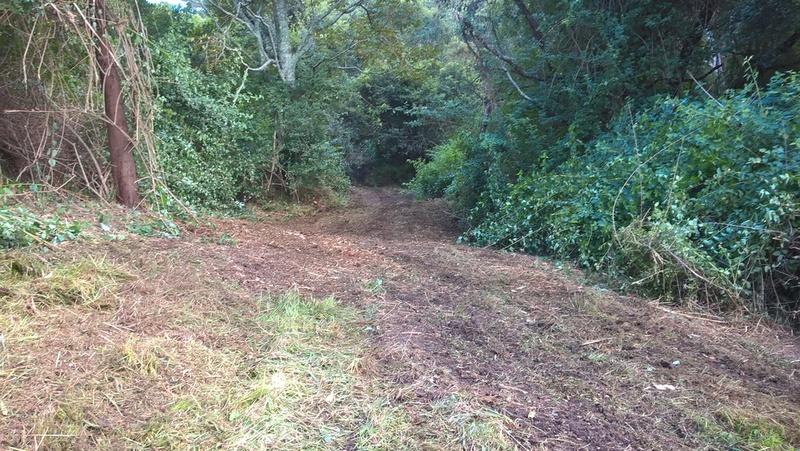 Do your need easement clearing, and maintenance? 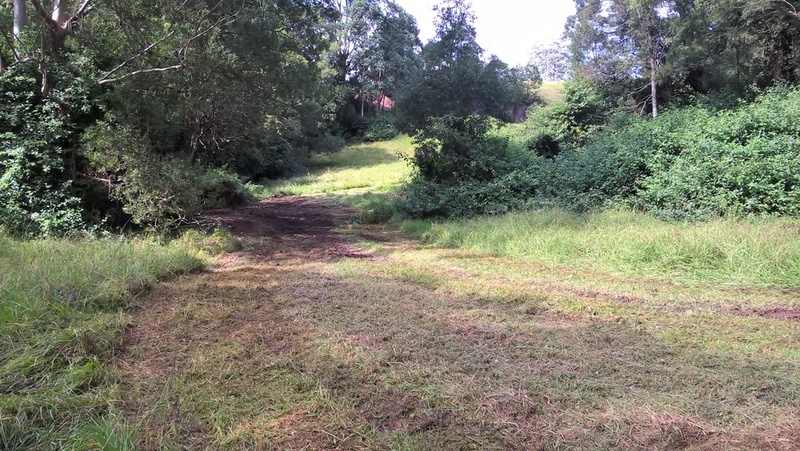 Please call & get us out to look at your property, to see how we can help you! 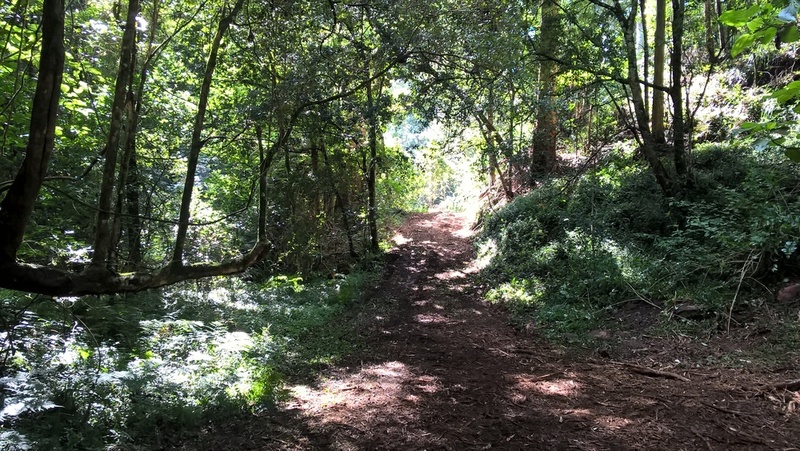 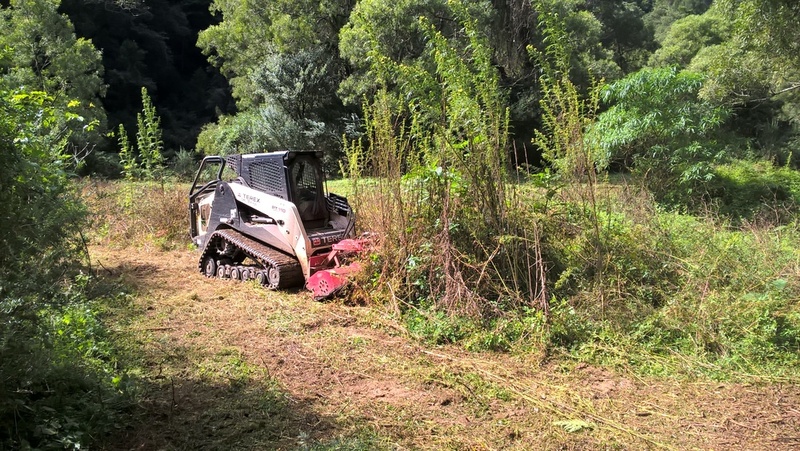 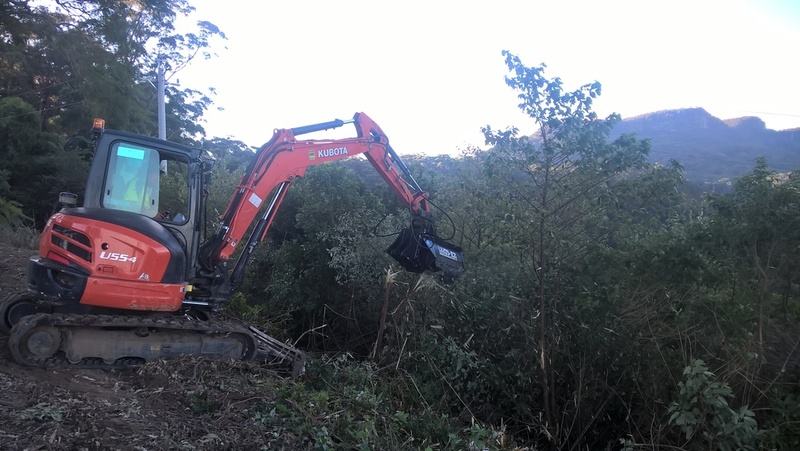 With its relative small size and high manoeuvrability, our machine can get in amongst forested areas and selectively remove weeds, leaving the woodland open and useable. 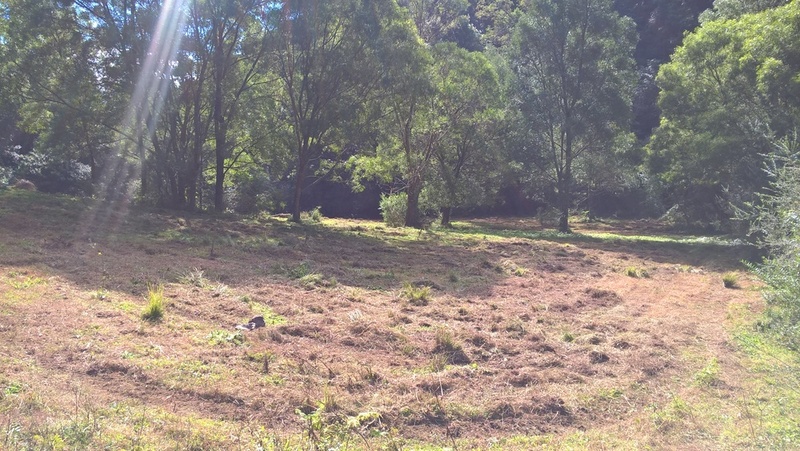 This process allows sunlight to reach the ground, promoting native grasses to return and with that, the native fauna that feed on it. 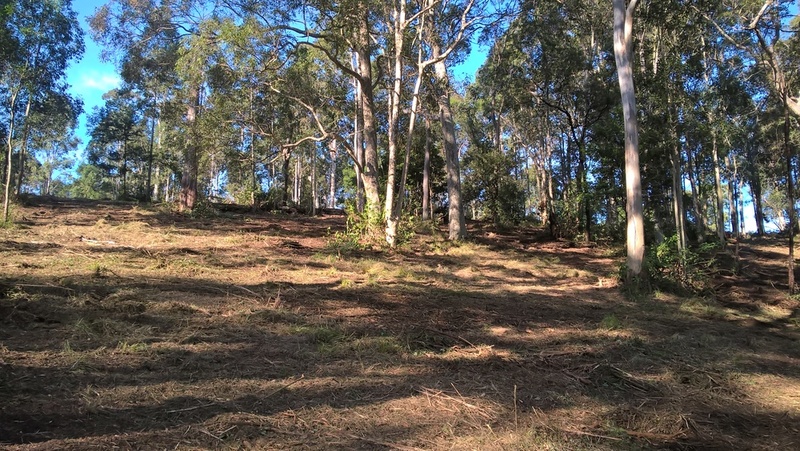 Not only does it look great, it has dramatically reduced the bushfire risk. 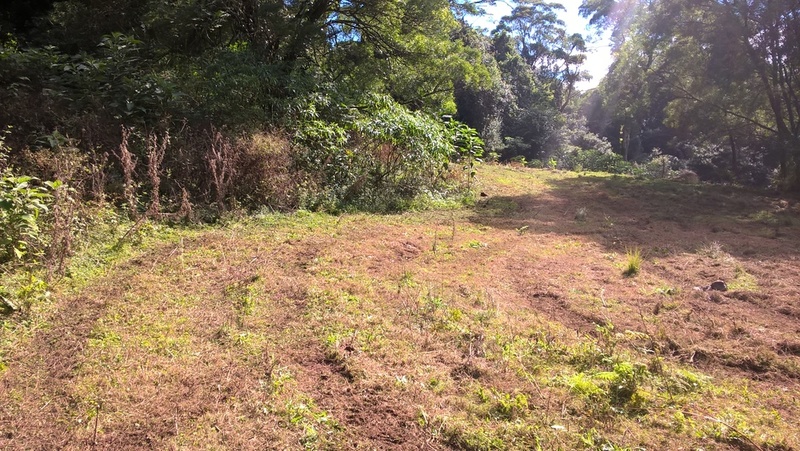 We wanted to show you one of our jobs 2 months down the track to give you an idea of what the ground cover would look like after it has recovered & new grass has grown. 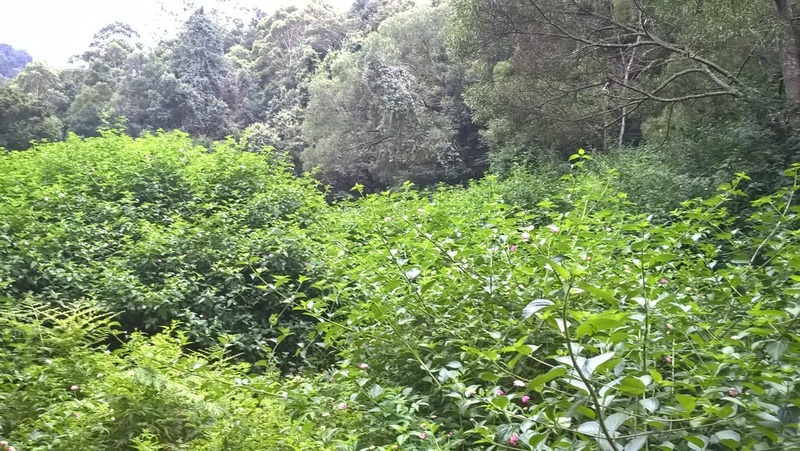 As seen in the pictures there was so much Lantana to remove from this property. 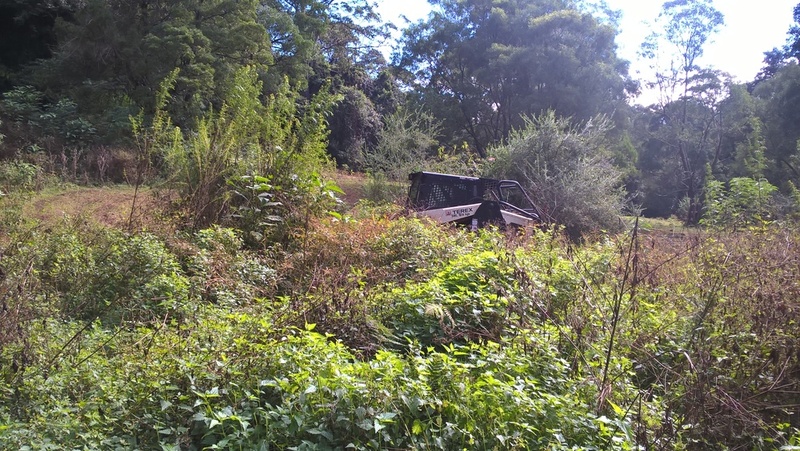 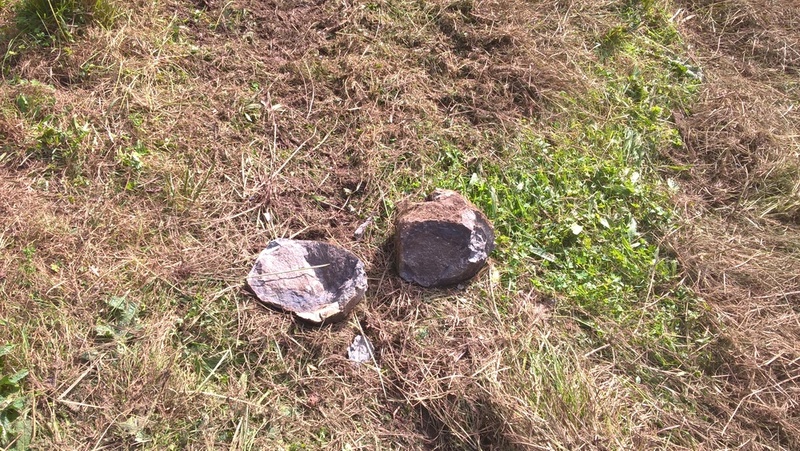 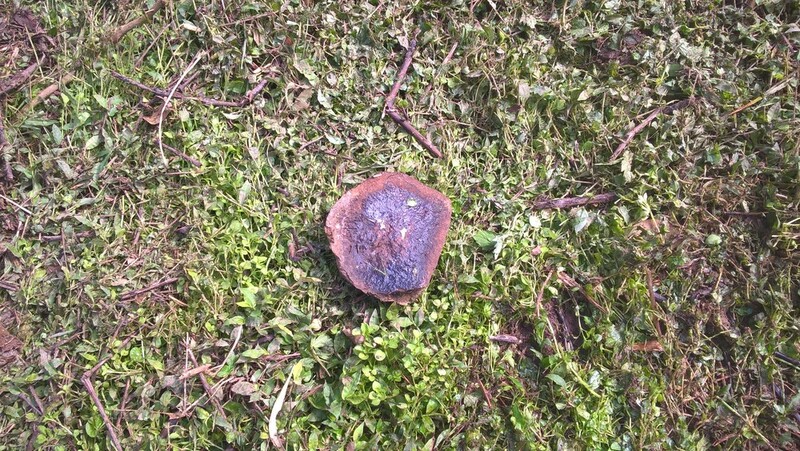 So much in fact, once it was removed the owner re-discovered parts of his property he hadn't seen for years! 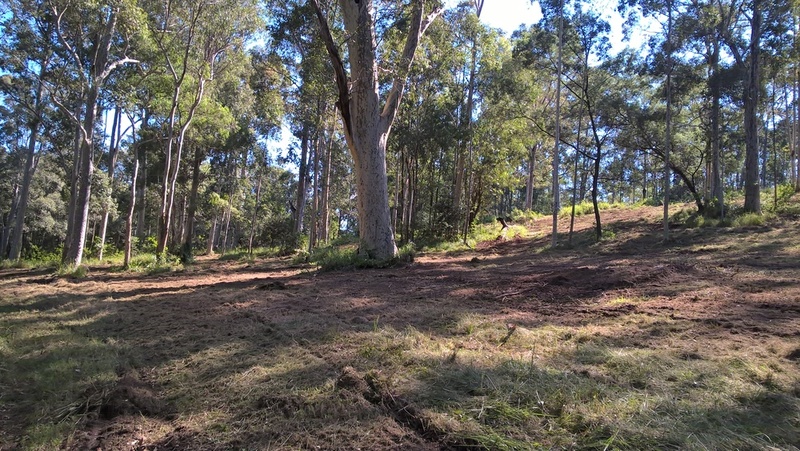 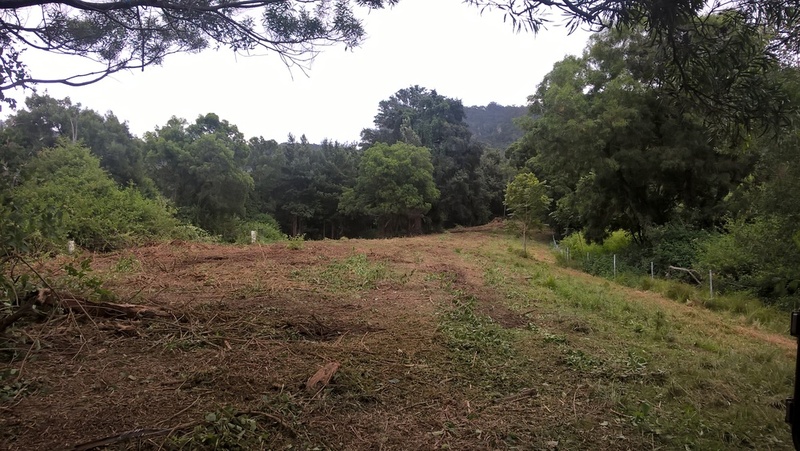 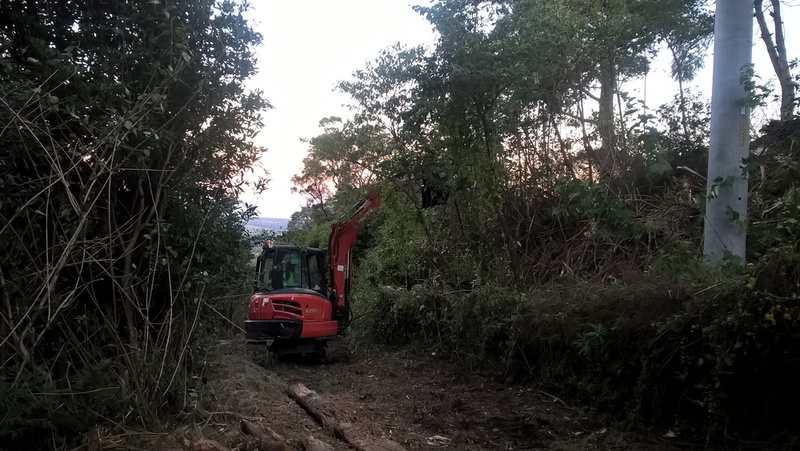 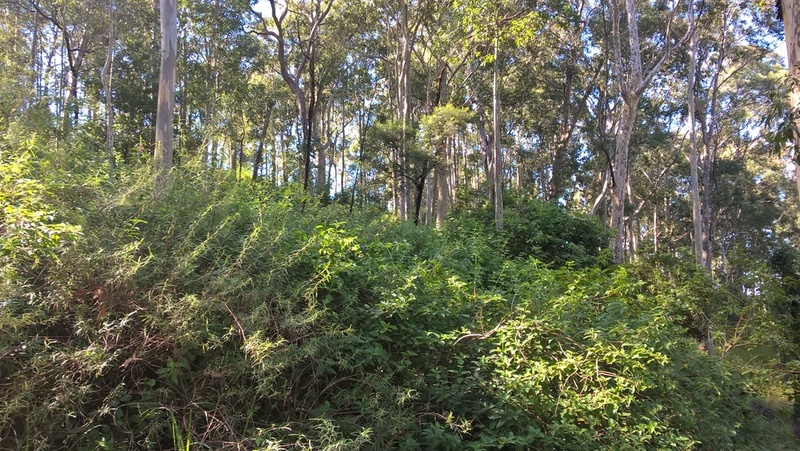 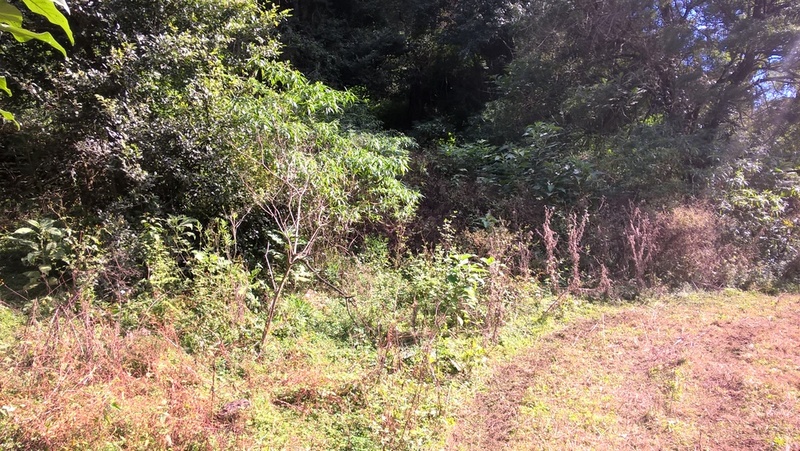 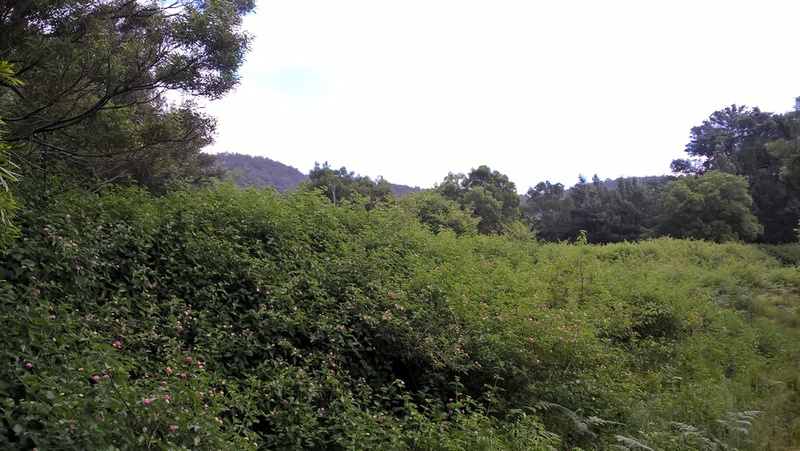 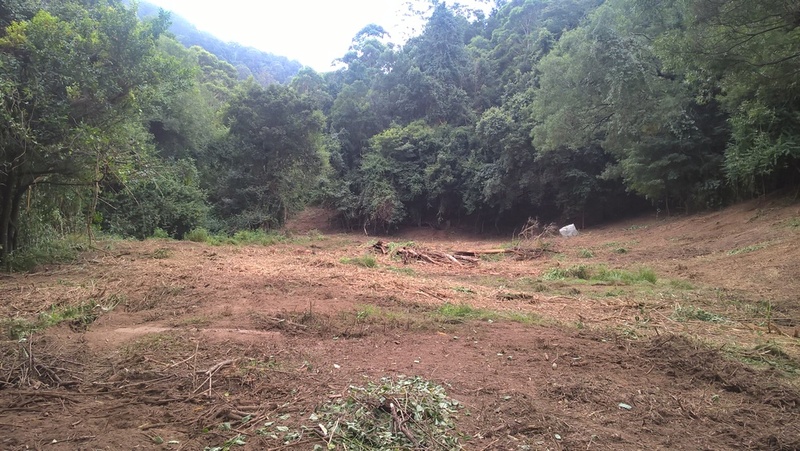 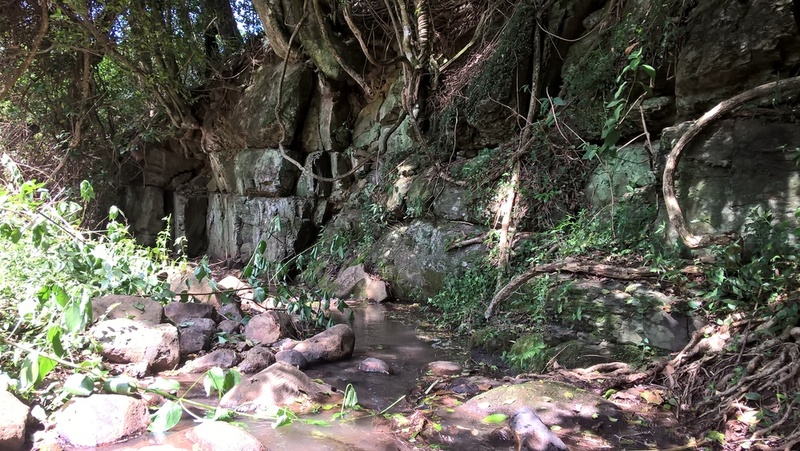 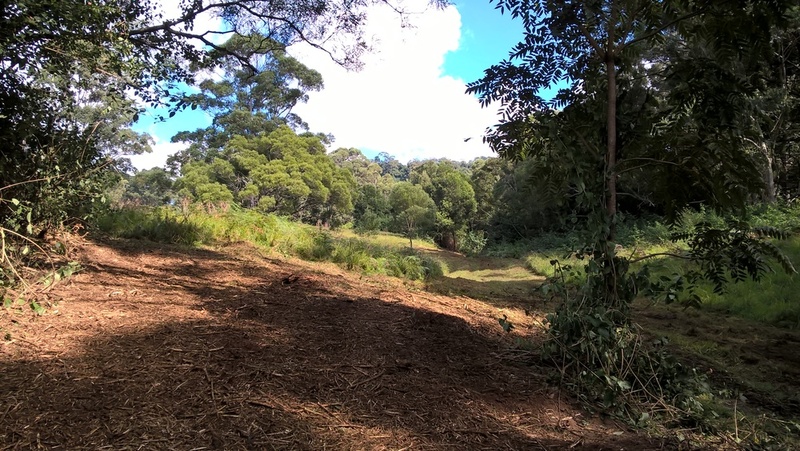 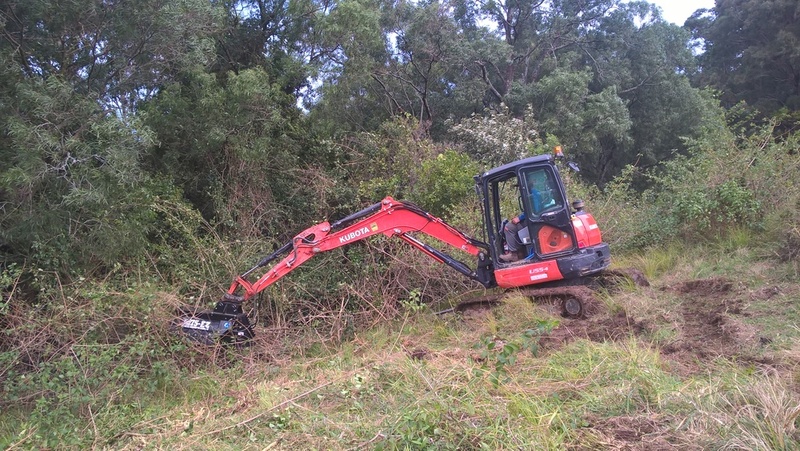 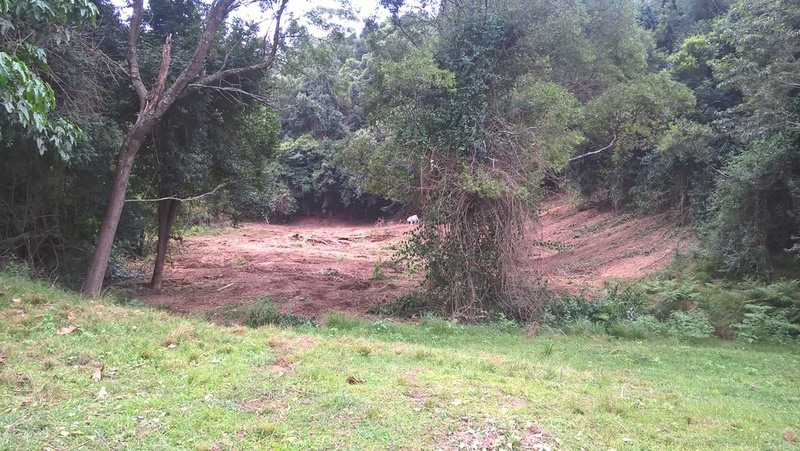 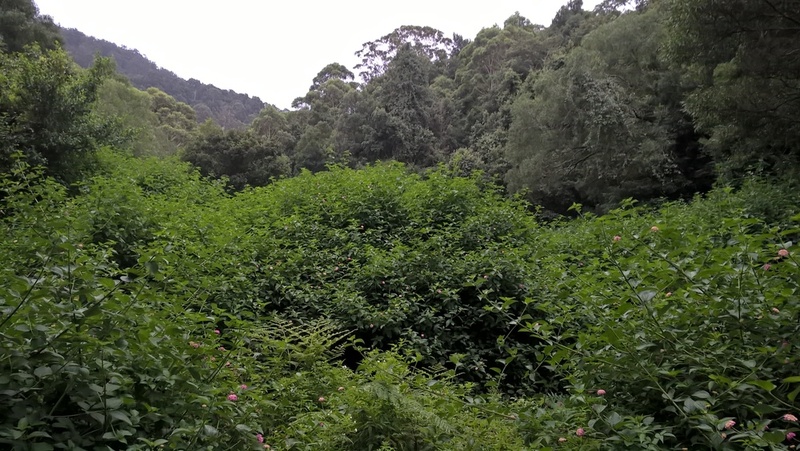 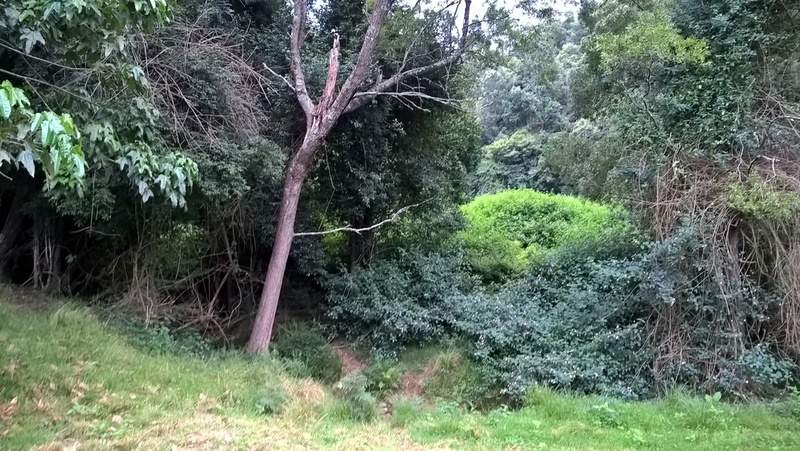 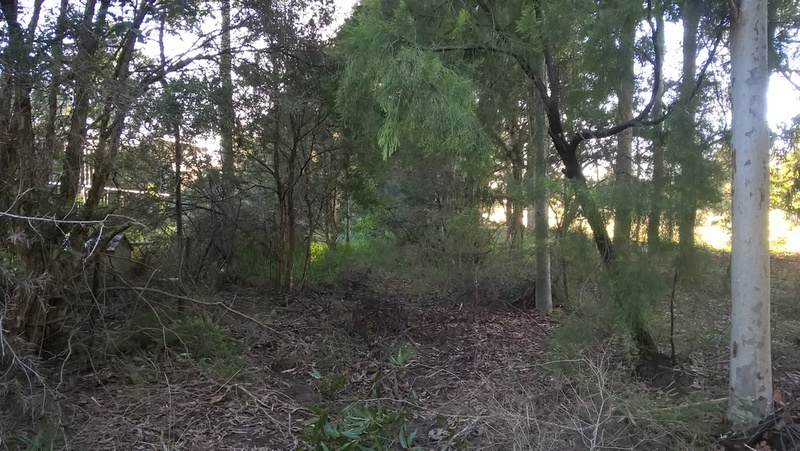 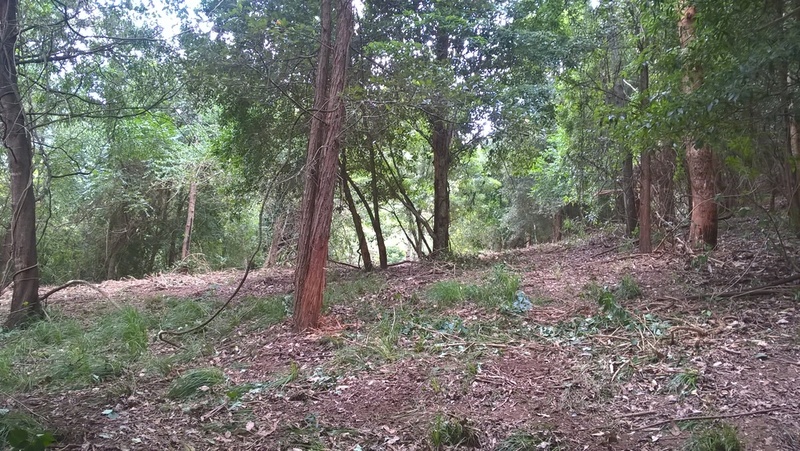 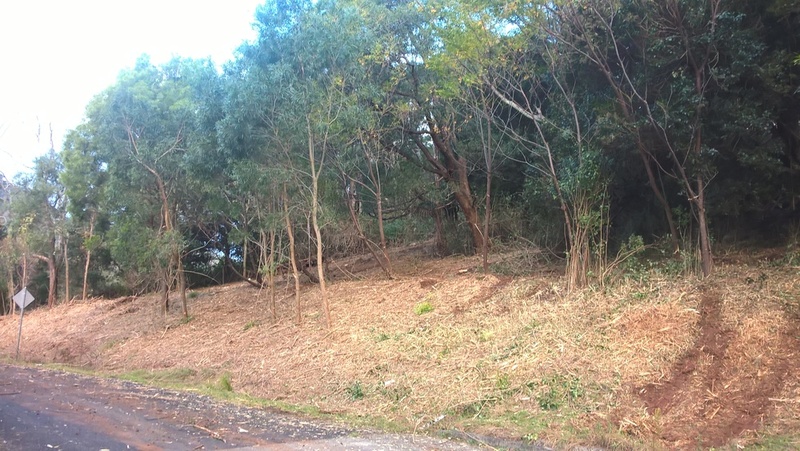 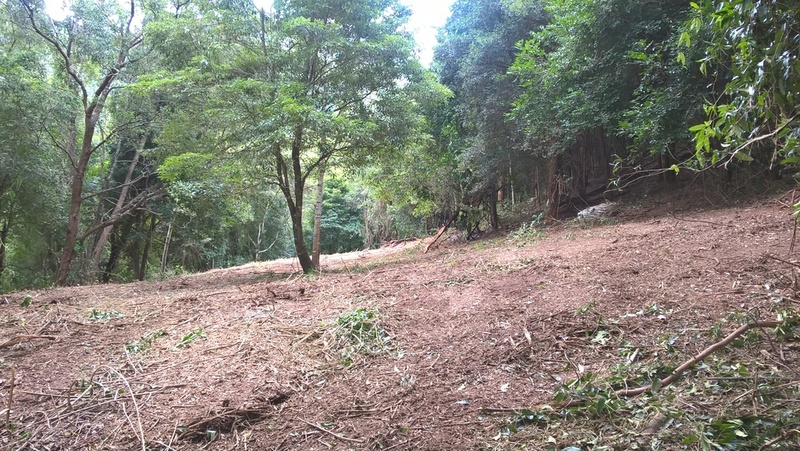 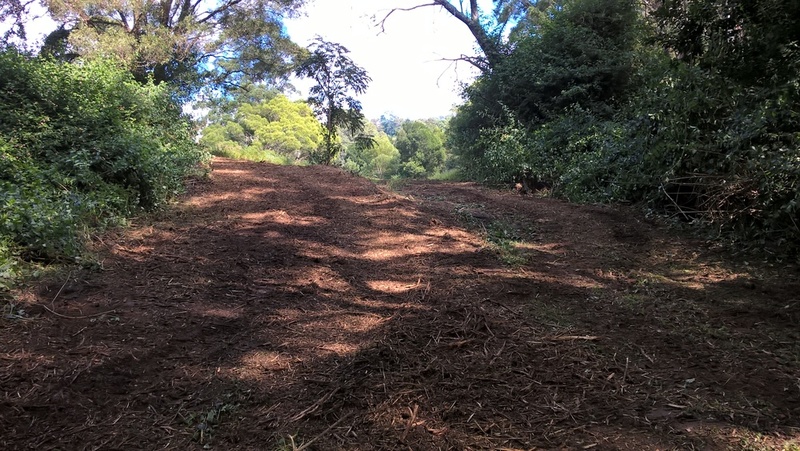 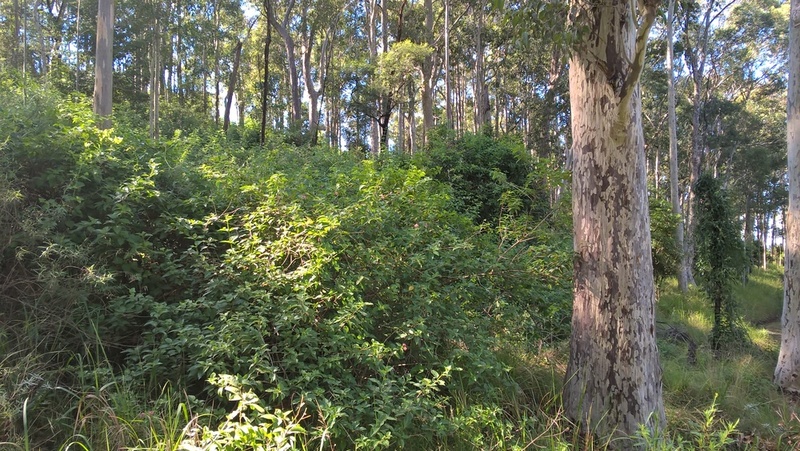 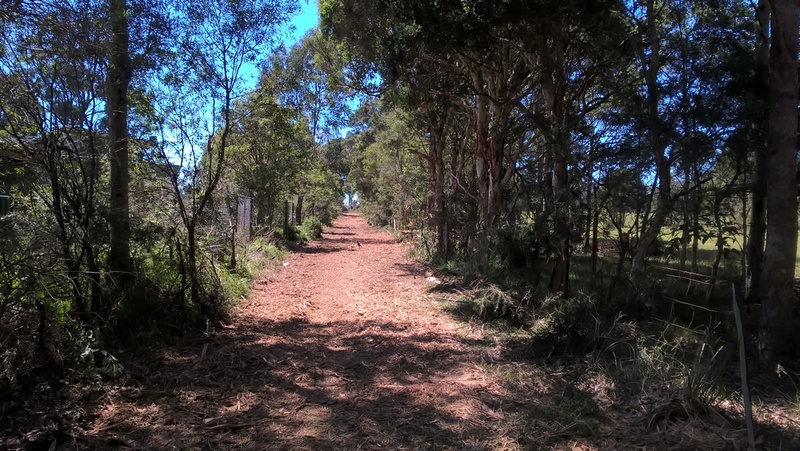 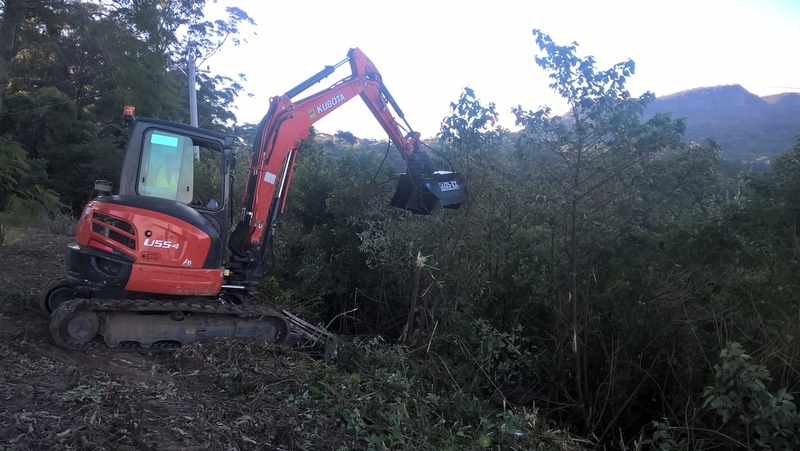 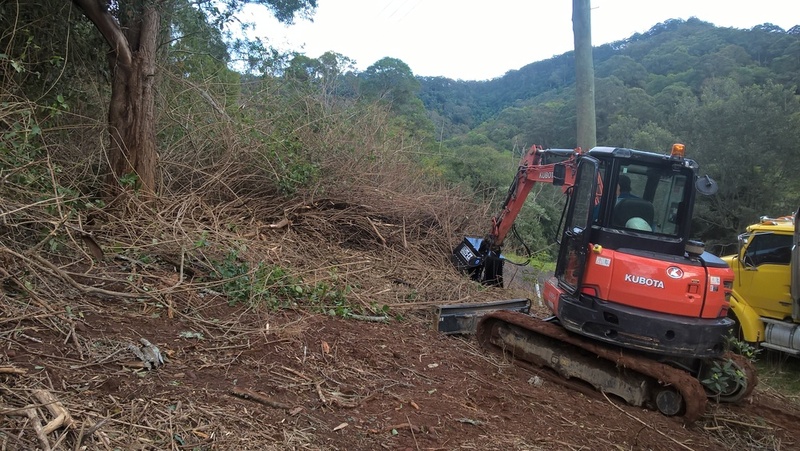 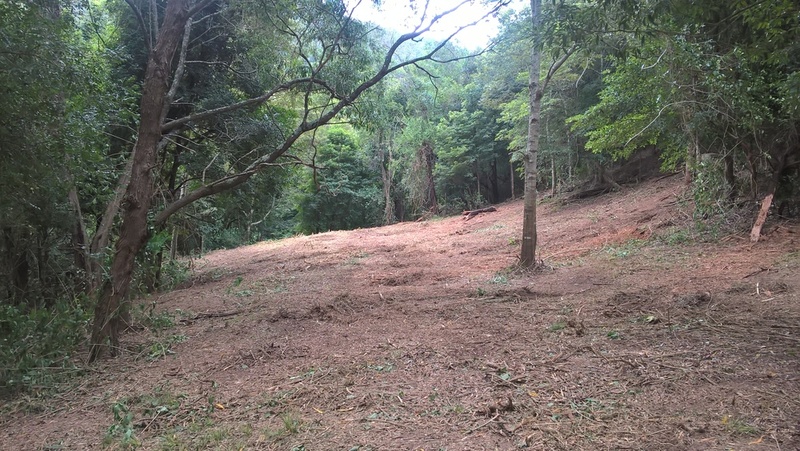 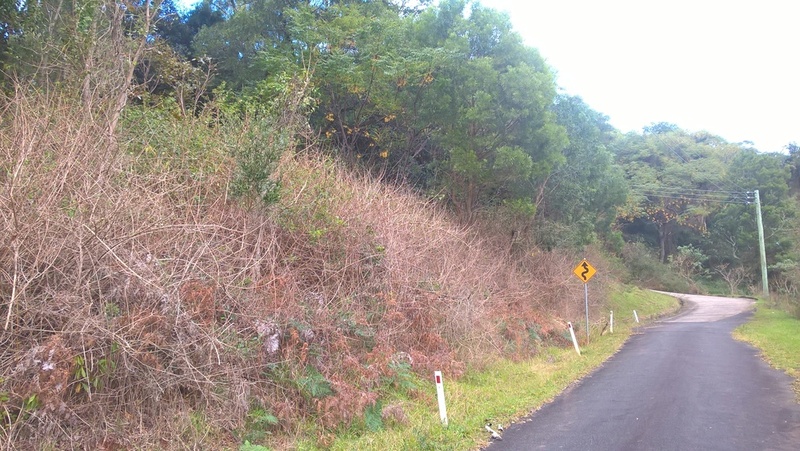 On this job we cleared all the undergrowth & opened up the native forest. 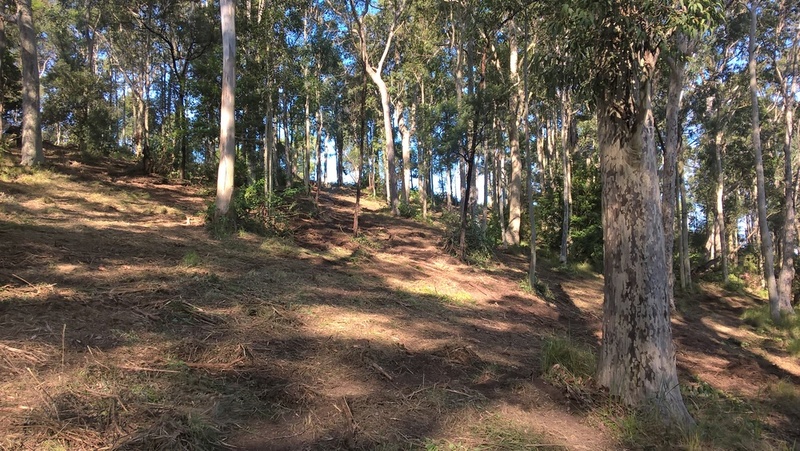 Now the customers children have a great area to play in & the bush fire risk to their home has been greatly reduced, not to mention looking great! 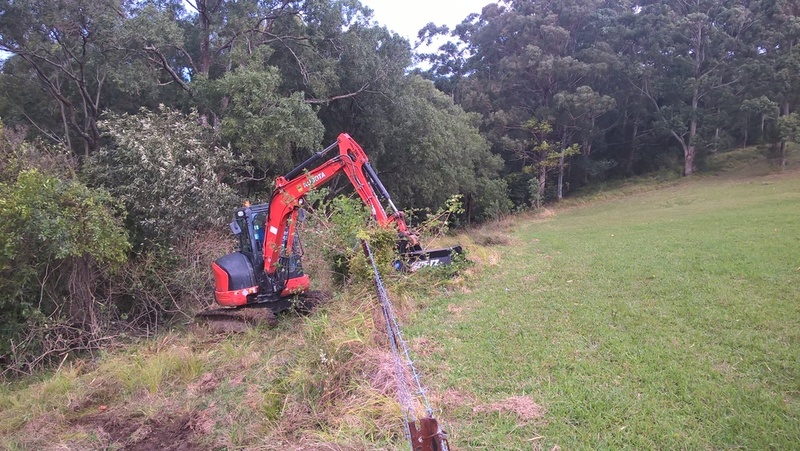 Cleaning up an old dog run that had become very overgrown. 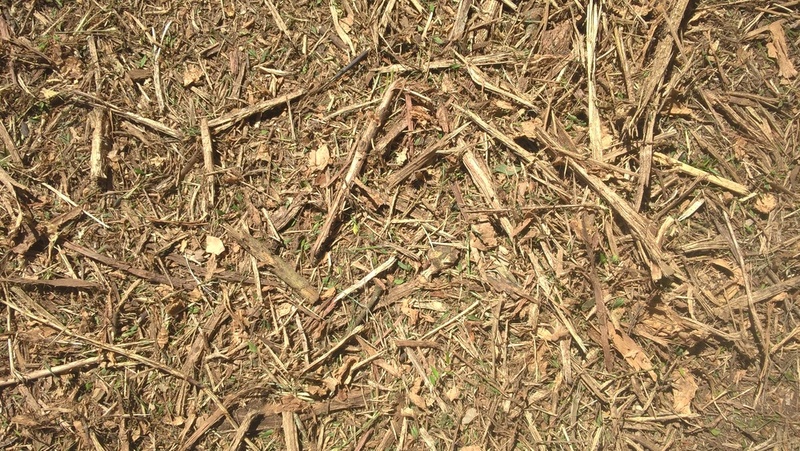 Photo's show before and after, and the typical mulch that is left as ground cover.